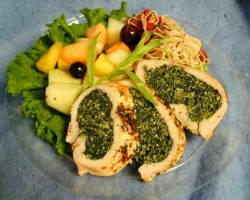 Catering a wedding or large event takes more than simply creating delectable dishes. It takes a company that can deal with the chaos and flow of your big day. 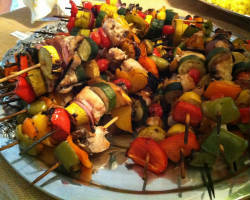 Triangle Catering is a local caterer that has extensive experience catering to weddings. They know the importance of making everything go smoothly, on time and with flawless execution. You can relax knowing that this company will serve you and your guests with extreme dedication. Enjoy a relaxed wedding day by choosing this North Carolina catering service. For a more formal and personal experience, choosing Mitchell’s Catering & Events is a must. As far as wedding catering companies in Raleigh go, this one is the most innovative and personalized with legendary service. The days of serving the 80s style shrimp cocktail are over when you see the creations of the top chef. The dishes served by this company are culinary innovations that bring a sense of sophistication and class to your upscale wedding reception, business gathering, reunion or fundraiser. 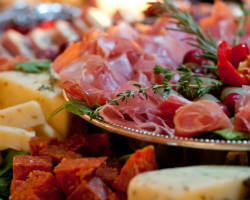 Italian catering is a favorite among couples for their wedding reception for many reasons. 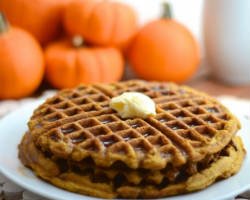 This food is always delicious. Italian food includes everything from savory meat dishes, pastas with incredible sauces, pizzas and so much more. This also means that everyone at your event will be able to have food that they love. 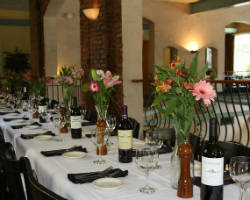 For any party or event, 518 West Italian Café serves the most flavorful and authentic Italian food possible. You deserve to have the very best food at your reception and this catering company serves just that. Layton’s Catering is a family business. The chefs and staff are either members of the actual family or have become family by working closely with the team. Since 1991, this Raleigh catering service has been serving every kind of event and gathering possible. Their range of options has made them a local favorite. Though they do have a large menu to choose from, they work to serve their clients completely, which is why they can also customize dishes as well. They have made everything from spicy crawfish dishes to Southern fried chicken. If you are having a more informal or daytime event, then having a full seated and served dinner might not be appropriate. Corporate Caterers provides large gatherings and events with a buffet style lunch that is delicious and always well presented. This company is consistent in their service, which is why they are often hired for annual corporate events. This company has also made a move toward going green by eliminating the plastic trays and paper bags of the past. Planning a wedding can be stressful when you have to deal with countless vendors, some who need much more direction than others. When you choose Ladyfingers Catering, you will be choosing a company that needs only a consultation and taste test before the wedding. On your big day, you will not have to worry about a thing, as this company has served countless weddings before and have become experts. They make your wedding reception dinner the very best it could be by offering delicious meals at affordable prices. 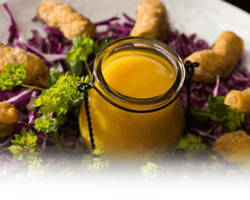 For delectable catering in Raleigh, NC, countless couples have turned to Rocky Top Catering. The reputation of this company alone makes it worth checking out. They do not serve ordinary dishes, but rather make everything they serve look like a delicious piece of art. You can request BBQ style or to have authentic Mexican food, either way, you will be having culinary masterpieces at your wedding reception. 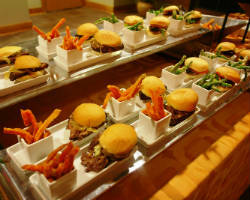 There is no better way to make your event the very best than by providing Rocky Top Catering. The reason there are catering classics is because they are foods that everyone loves and can be prepared well. 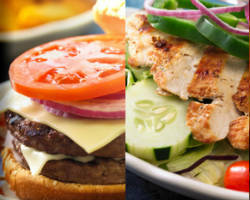 BB&Y Café & Catering offers these classics in a buffet style for you and your guests to enjoy. By choosing this company, you ensure that you and everyone else will love the food and be left full and satisfied at the end of the meal. This company has taken the classics and made them even better for a relatively cheap rate per person.